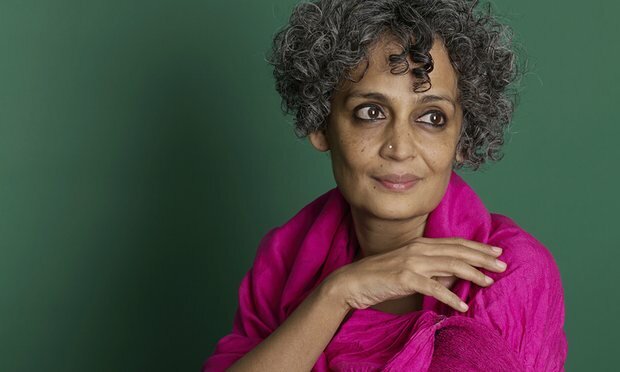 Twenty years after Arundhati Roy won the 1997 Booker prize for her debut novel The God of Small Things, the Indian novelist’s second, The Ministry of Utmost Happiness, is set to be published in 2017, her publisher has announced. Roy has published a wide range of nonfiction, covering topics from the US invasions of Iraq and Afghanistan to a condemnation of India’s nuclear tests, since she won the Booker in 1997 for her story of twins Rahel and Estha growing up in Kerala. But The Ministry of Utmost Happiness, which publisher Hamish Hamilton announced on Monday, will be only her second novel. “I am glad to report that the mad souls (even the wicked ones) in The Ministry of Utmost Happiness have found a way into the world, and that I have found my publishers,” said Roy. In 2011, Roy told the Independent of how her friend John Berger, a fellow Booker prize winner, had urged her to continue writing her second novel, but that she was distracted from it by her investigation into the Maoists in India. Roy’s publishers called her new novel “one of the finest we have read in recent times”, and “an incredible book … on multiple levels”. Précédent Le carrefour de tous les dangers : La Russie et les USA se préparent-ils à une guerre nucléaire?